Gate, the free iOS app that puts gamers’ reactions to the test, has received a big update offering users more color, more medals, and, of course, faster gates. You can indeed download Gate free of charge, and the app is a universal build optimized for the iPhone, iPad, and iPod touch. This even includes Apple’s more recent iPhone 6 and iPhone 6 Plus, which we’re pleased to see. 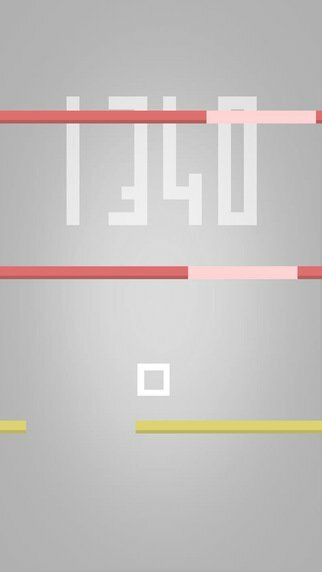 If you’re unfamiliar with Gate, the game sees players drag a pixellated cube in between passing gate after passing gate. Each time players make it through the gap, 10 points are added onto their total score. 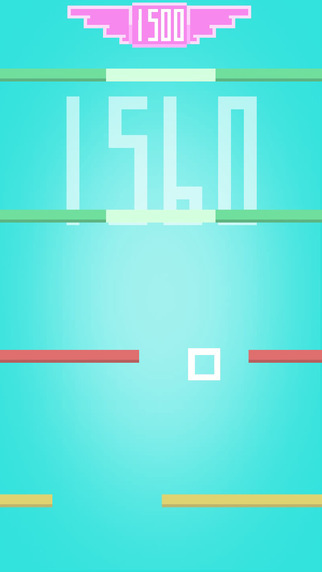 The aim of the game is to secure as high a score as possible. Thanks to Gate’s recent update (2.0), the app is now a more colorful piece of mobile software: after gamers have passed a certain number of gates, the game will switch to display a new color scheme, which is a nice addition. There are also “waaay more medals” as of Gate 2.0 – 16, the developer explains – and these aim to spur players on to achieving higher, more impressive scores. Developer Rob Hayes has added a “continue option” in the game, which allows players to continue where they left off provided they sit through a mobile ad. Plus, as gamers progress through the game, gates now not only move faster, but they also move closer together, too. There’s a lot to like about Gate: it’s a fun, colorful app that’s quick to play and offers users a jump-in, jump-out mode of gameplay. Though the developer promises a smoother experience as of the recent update (especially when Gate runs on an iPad device), we found in our testing that it’s still a little laggy on the iPhone 6 Plus. Here’s hoping this is something we’ll see fixed in an upcoming update. We can’t complain, though, since Gate offers gamers a lot of fun and is free to download. Check out the universal app now, or see: Musicelli promises users a better experience for viewing YouTube music videos, Digital photography storage solutions that stand the test of time, and Apple building technological research center in Japan.